Fluenty App - Fluenty Inc.
Fluenty is not just another messenger. Fluenty Sends Cleverly Brilliant, AI-generated Smart Replies to Your Messages with a Single Tap on your Smartphone or Smartwatch. It works with the messengers you already have, including SMS, WhatsApp, Facebook Messenger, KakaoTalk or Google Hangouts. There’s no need to join a new service and invite your friends. Fluenty is easy to use. 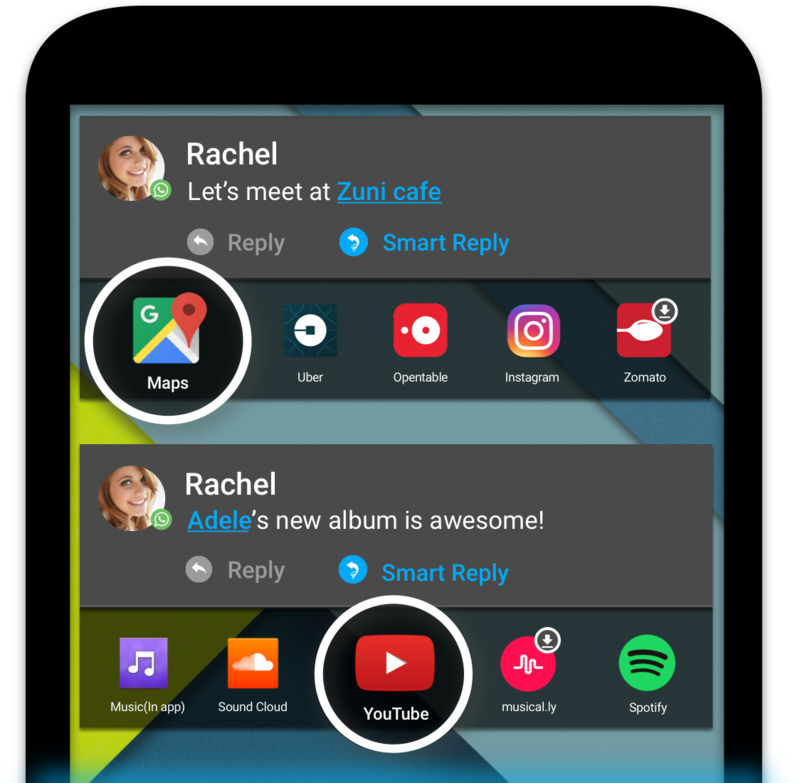 It automatically recognizes messages and notifies you with a pop-up on your phone or Android Wear smartwatch. Fluenty uses deep linking to automatically send links to maps, videos or other topics you’re discussing. Fluenty isn’t just smart; It’s witty. Fluenty’s AI engine is tuned to add an element of fun to conversations with Smart Reply. Fluenty’s AI engine is trained on more than 700 million public conversations from the web. Using Natural Language Understanding technology, Fluenty interprets what your messages mean, and offers up timely and relevant Smart Replies. Fluenty anonymises your messages and replies, so they aren’t associated with your email address or other identifying information. Messages sent to Fluenty’s servers are also encrypted, so no one can intercept them. Customizable Appearance: Fluenty might well become your most-used app, so it has to look good. You can customise the design of Fluenty’s heads-up notifications to suit your taste and express your personality. Fluenty is the name of our company and our app. The company is using Artificial Intelligence to change the way people communicate. 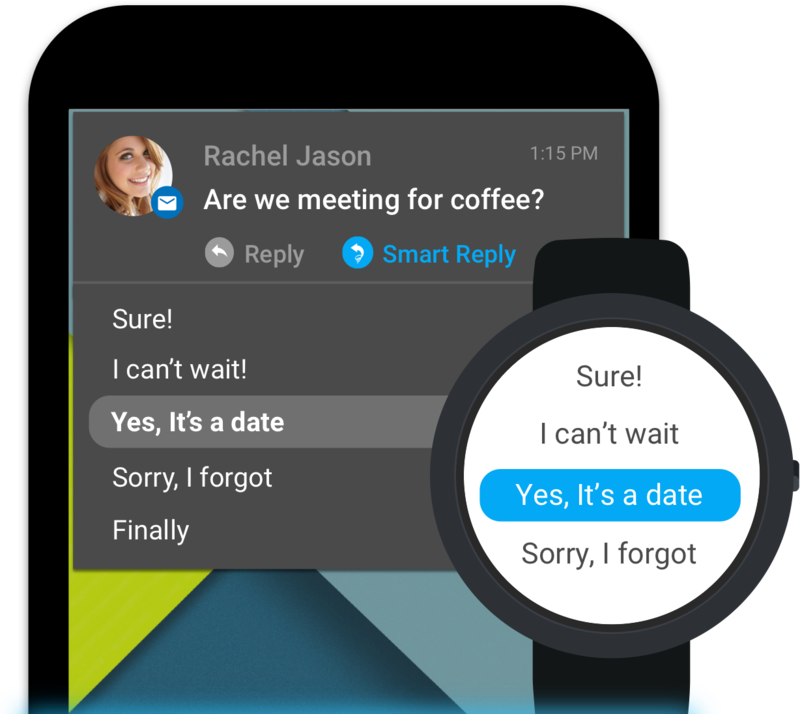 The Fluenty app for Android app works with the messengers you already have to give you perfectly clever one-touch replies to any message on almost any messenger. These replies are based on data from more than 500 million public online conversations. What data do you collect and how do you handle it? Currently the only data we store on our servers is your username and other basic informaiton necessary for you to log into Fluenty. We do have to upload your messages to our servers to generate replies, but we anonymize and encrypt your messages so they aren’t associated with your email address or other identifying information and no one can intercept them in transit. We don’t currently use your conversational data to train Fluenty to have better conversations, but we might like to use that data in the future. If we do, we’ll ask for your permission first. How do I report bugs and suggest ideas? Please send us an email at admin@fluenty.co. Your feedback can make Fluenty better. Please send us an email at admin@fluenty.co. We’ll get back to you with the next steps. How can I delete Fluenty account? What messengers does Fluenty support? From version 1.4.3, Fluenty supports following messengers: Facebook Messenger (from Kitkat), Hangouts (from Lollipop), Whatsapp (from Kitkat), Kakao Talk (from Lollipop). SMS. You’ll need to grant Fluenty access to your notifications to enable multi-messenger support. If you have an older version of Fluenty, we strongly recommend that you upgrade to the latest version. Click here to upgrade! What languages does Fluenty support? For now, Fluenty is available in English. We’re considering adding additional languages in the future. Stay tuned for updates! How do I enable or disable Fluenty for specific messengers? To turn Fluenty notifications on or off for individual messengers or for SMS, open Fluenty and go to Settings > Messengers. You can turn Fluenty on or off for any messengers it supports. Why can’t I see Fluenty notifications? There are three things to check if this happens. First, make sure you’ve done the initial setup on Fluenty. If you’ve just installed the app, make sure to open it, take the tour, scroll through the cards and select “Enable”. You can also check Fluenty’s settings for individual messengers. In the Fluenty app go to Settings > Messengers. You can turn Fluenty on or off for any messengers it supports. If Fluenty still doesn’t work for a specific messenger, confirm that the messenger’s notifications are turned on in the settings for that particular messenger. I get multiple notifications from a single message. Please follow the steps in answer to the previous question. How can we work with or partner with Fluenty?